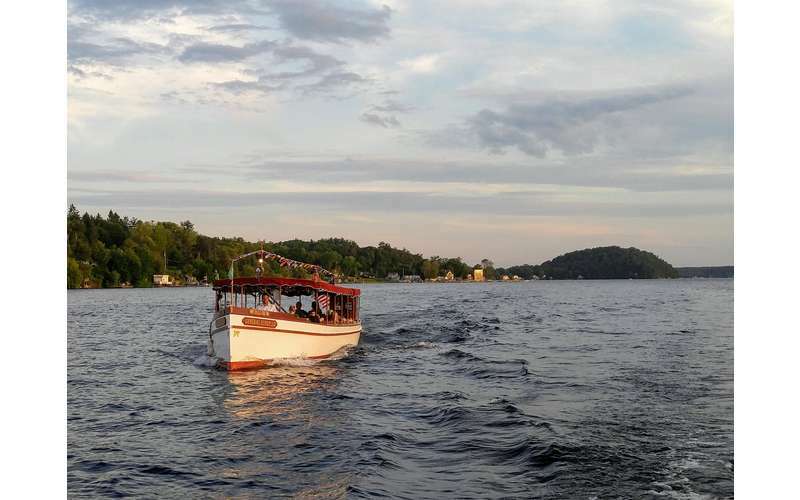 Enjoy boat tours and charters on beautiful Saratoga Lake. Adirondack Cruise & Charter Co. offers memorable cruises aboard their two vessels - the General Schuyler and the Kaydeross. Both are insured, NYS inspected, and piloted by a licensed captain. The General Schuyler is a 50', 1900's replica Fantail Launch that features 10.5' beams, weather side curtains, and more. This long boat can accommodate private charters of up to 25 passengers. The Kaydeross is a 22' luxury open air pontoon boat that was built in 2015. It has a 75 horsepower engine and is equipped with comfortable seating for 9 passengers. Soft overhead lighting and candles set the mood during the evening cruises. If you'd prefer, you can book a private charter on either the General Schuyler or the Kaydeross. Cruises are perfect for enjoying time on the water with family and friends, but you can also turn one into a fishing trip or even a celebration. Retirement, birthday, and bachelor/bachelorette parties are all options, as are on-board engagements! Bring your own drinks, and let the company be your designated driver on the lake. 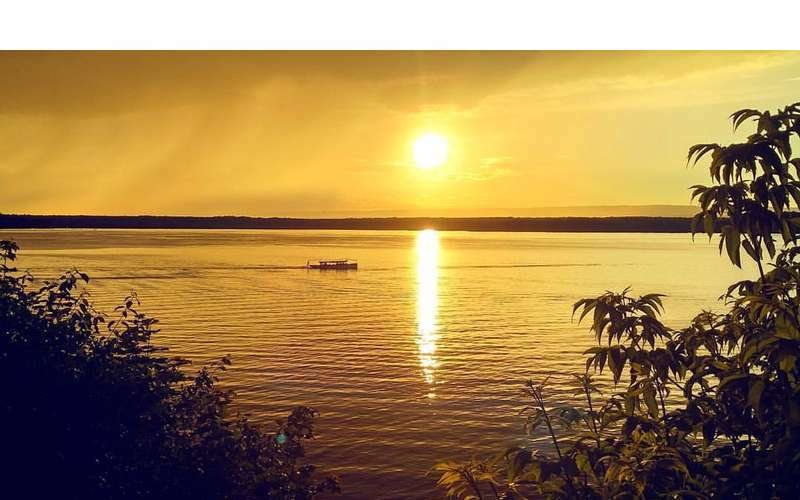 The cruise company is based out of the Saratoga Lake Marina conveniently located off Route 9P just minutes from Exit 14, the Track, and the Saratoga Performing Arts Center (SPAC). Visit their website and check out the available cruises! Captain Hal and First Mate Jack provided a fabulous cruise on Saratoga Lake. Their replica fantail launch was elegant, charming, and comfortable. Historic information and points of interest as well as great stories were part of this very special experience. We will definitely sail with them again and again. I have now taken two cruises and plan a couple more before their season ends. The captains are all extremely knowledgeable about the history of the lake and Fish Creek. I am a native Saratogian and although I have been to Fit Creek I have never traveled on the creek. It is a beautiful cruise. Lots of wildlife and a lovely way to spend a couple of hours. The boat is very comfortable. I did this cruise solo but within a few minutes all of us on the cruise were getting to know each other. I plan to repeat this cruise when the trees have turned into their fall colors. 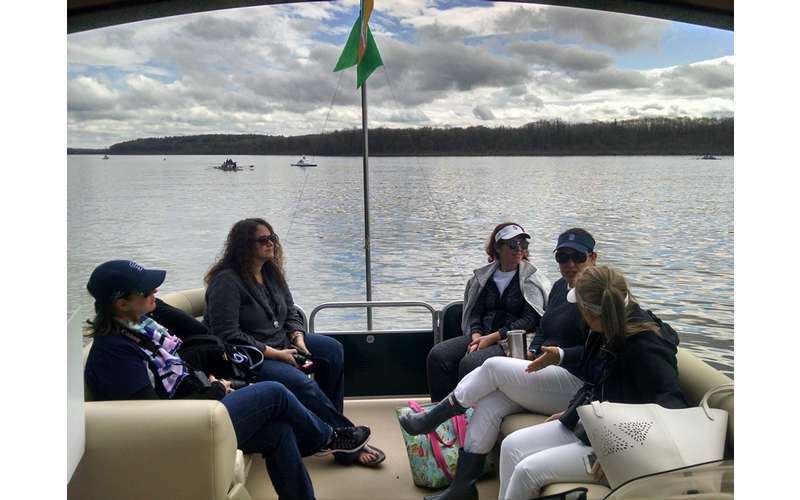 I have taken the lake cruise and learned much more of the history of Saratoga Lake. I highly recommend this company. What a wonderful new addition to Saratoga. Thank you so much for sailing with us. We love getting local folks out on the lake! Hope to see you soon! 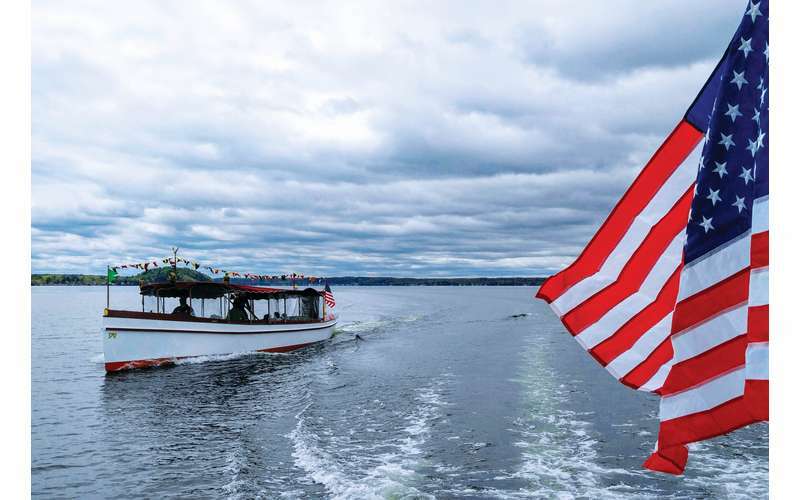 My wife and I chose to take one of Adirondack Cruise and Charter Co.'s dinner cruises on Saratoga Lake. The weather had us a bit worried because it looked like a storm was going to pass through and the wind stirred up a lot of waves. I expected the cruise to be bumpy as a result, but the boat handled the conditions surprisingly well and smoothly. Thankfully, the ominous skies cleared and no rain came. If it had, however, we were glad to see the boat was fully covered overhead and had rain flaps surrounding the sides to protect us from getting wet and having too much wind coming through the boat. Our dinner began being served soon after leaving the dock, starting with salad, and we enjoyed having the option of shrimp or steak for our main course: Both were very good. The side dishes were served family style which helped spark conversations and connect with the other people we were joined with for dinner; and the selection of desserts-served with coffee-were perfectly made and delicious. Captain Hal was very knowledgeable of Saratoga Lake history which added to the quality of the entire, relaxing experience as well. All in all, it was a great time that'd we'd definitely take part in again! We had a great time on Saturday on the afternoon Fall Foliage cruise. The Captain made you feel like you were old friends enjoying the autumn splendor. This cruise was definitely worth it! Thank you so much for sailing with us on a beautiful afternoon! We are glad you enjoyed your cruise! 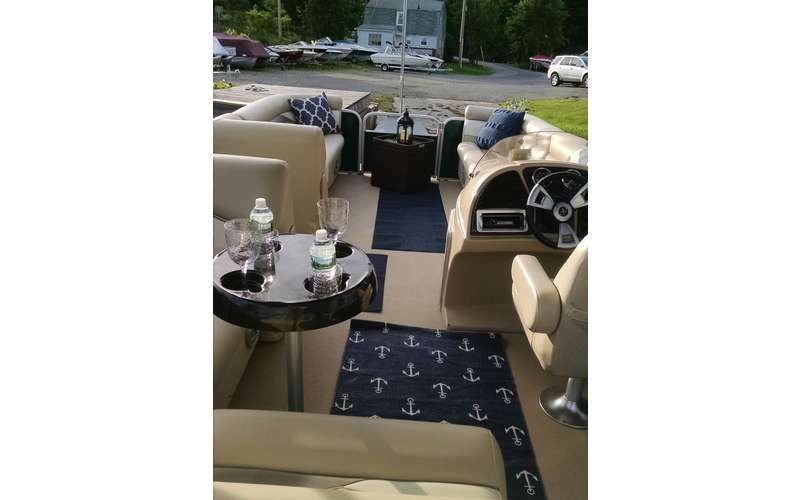 Contact Adirondack Cruise & Charter Co. Message Adirondack Cruise & Charter Co.